Did you know that you can support The King’s Academy when you shop with Amazon? AmazonSmile is a website operated by Amazon with the same products, prices, and shopping features as Amazon.com. The difference is that when you shop on AmazonSmile, the AmazonSmile Foundation will donate 0.5% of the purchase price of eligible products to the charitable organization of your choice. You can use the same account on Amazon.com and AmazonSmile. It’s easy to register. On your first visit to AmazonSmile smile.amazon.com, you select The King’s Academy as your charitable organization to receive donations from eligible purchases before you begin shopping. Amazon will remember your selection, and then every eligible purchase you make at smile.amazon.com will result in a donation. AmazonSmile is a simple and automatic way for you to support The King’s Academy every time you shop, at no cost to you. 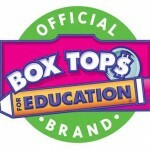 General Mills Box Tops for Education program gives cash for box (10¢ each). Checks are mailed to the school twice a year and benefit TKA’s After School Care program. Click here to see a list of participating products. 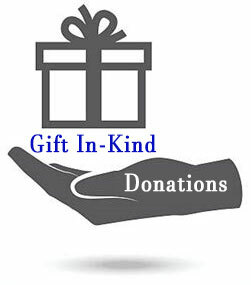 Gifts-In-Kind are contributions of goods or services, other than cash. If you have a good or service that you would like to donate to TKA, first contact the Development Office to verify the use and benefit to the school. Many employers will match your charitable giving, doubling the impact of your gift! If your company has a matching gift program, obtain the matching gift form from your employer and enclose it along with your gift. Click here for a partial listing of participating matching gift companies. If your company is not included on this list, check with your employer to see if they have a matching gift program. Office Depot’s Back to School program can not only benefit TKA now, but help keep us in free supplies all year long. All you need to do is make a qualifying purchase at Office Depot and let the cashier know your purchase should credit TKA’s 5% Back to Schools program (they can look up the school or give them ID# 70024392). Also valid for online purchases. King’s will earn money every time you search or shop online. GoodSearch.com is a Yahoo! powered search engine that donates half its advertising revenue, about a penny per search, to the charities its users designate. Use it just as you would any search engine. GoodShop.com is an online shopping mall which donates up to 30 percent of each purchase to your favorite cause! Hundreds of your favorite retailers are participating. Click here for easy sign up and to designate TKA. Shop for a cause! Treasures for Hope, a charity store filled with donated items such as furniture, home décor and boutique clothing will donate 10% of sales from TKA families and friends! Sales support the children and young adults of Place of Hope and Villages of Hope. Place of Hope is a unique, faith-based, state-licensed child welfare organization providing emergency shelter, family-style, foster care, maternity care, and safety for sexually-trafficked minor victims. Villages of Hope provides independent living, residential support, and essential life skill development to young adults. Help put hope in a child’s heart when you shop at Treasures for Hope and say, “The King’s Academy” at checkout to return 10% of your purchase to TKA!